Does she get and grander and more elegant than the White Japanese Akoya Pearl and 14K White Gold Ring that is accented in not 1 but 5 diamonds. 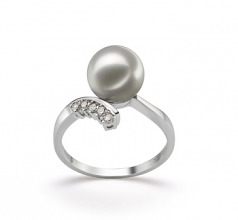 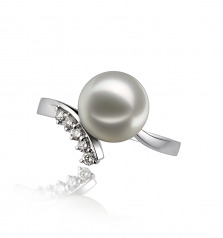 With a gorgeous 8-9mm Japanese Akoya Pearl, a woman’s heart should already be set but this ring wouldn’t be. 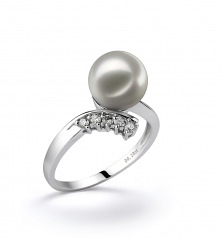 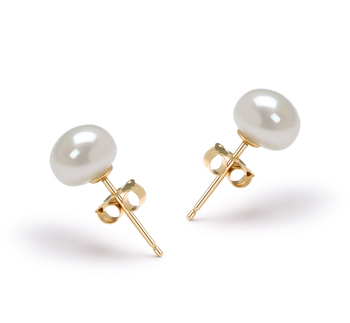 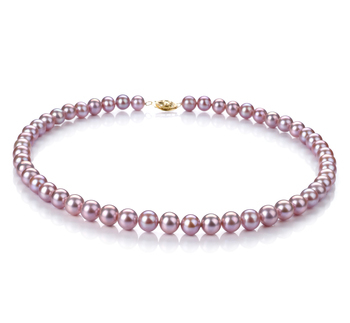 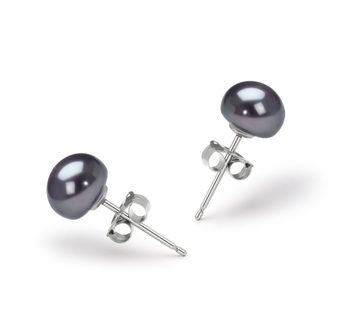 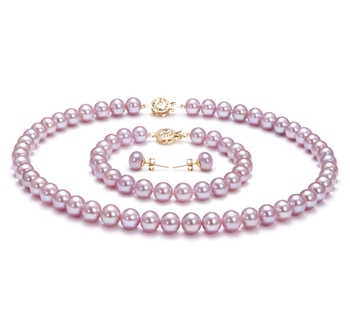 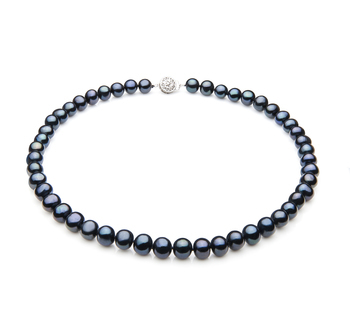 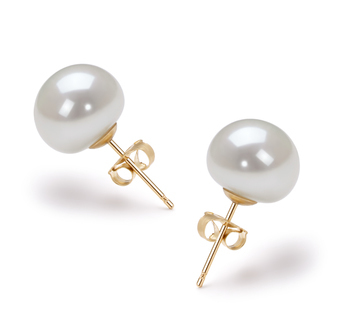 The AAA shape of the pearl lends a hand in its beautiful setting and serene look while the magnificent (AAAA) and superior luster brings out the pearls inner self and outshines the ring and all its qualities. 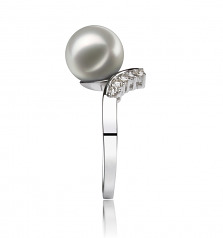 With the overall high quality of the glistening shine and high quality pearl and diamonds, this ring is set to sail in any fashionable wardrobe, make it yours for the already envious friends to have a bit more to look at.